As of this writing the free-to-play title was still available to download on all three platforms: PlayStation 3, PlayStation 4, and PlayStation Vita. Fight your way through frenetic online battles in this new Action MOBA! 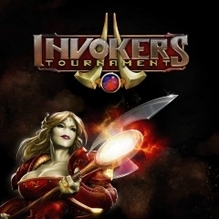 Collect and learn to use the different invocations and rise to the title of Tournament Champion! Acquire all the invocation rings and equip your character with different combinations in fun and exciting online matches. Discover all the skills of your invocations and learn to control them on the battlefield. Create a team with friends and compete in different seasons against other teams. Thanks to LotsaNintendo for submitting this information to the site.